A surprising number of twentysomethings spend as much as five hours a day on Facebook — and practically no time on the wider web. You’d better get your brand’s Facebook page in order. Here’s how. Facebook page in order. Here’s how and why. 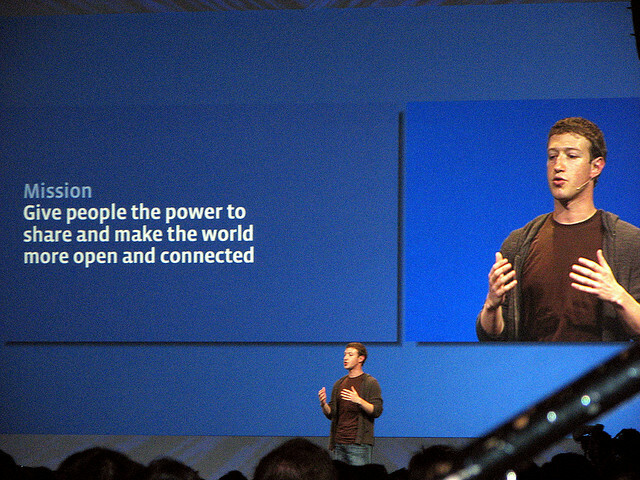 Back in April, Mark Zuckerberg introduced Facebook’s “Open Graph” initiative, an Internet-wide protocol for making any webpage “equivalent to a Facebook page.” With a few bits of code, any web developer could add social networking functionality to a page, integrating tools such as Facebook’s “like” button. Six months later, it seems that the bet has paid off: Social plug-ins (ie, “like” “share” and “recommend” buttons) are now, according to Facebook, present on more than two million websites. Marketers have been some of the most enthusiastic adopters of social plug-ins, which allow brands to convert impressions into lasting relationships. Once a consumer “likes” a brand, the brand establishes a dedicated communication channel, the Facebook newsfeed, for pushing out further messages. Last month, the Facebook “like” button began appearing in banner ads from J.C. Penny and Mountain Dew, entreating consumers not to rush to stores or the nearest soda machine but to simply engage with the brands in a new way. Around the time of the Open Graph launch, this line of thinking caused speculation that Facebook was headed for a fight with Google. But recent research suggests that perhaps Zuckerburg didn’t need to expand Facebook’s reach in order to conquer the wider web after all; for certain groups of younger users, we’ve seen a trend toward the rest of the web moving into Facebook itself. In a recent study of 21-29 year old females, we saw a surprising number spending as many as five hours per day on Facebook, with much of that activity being what the respondents nearly all called “nosing around” (we’ll call it “social browsing.”) This largely consists of seeing what your friends are or were up to: Reading status updates, clicking and watching video links, shuffling through photos of friends’ nights out and comparing those nights to ones own. To people familiar with Facebook, this behavior, of course, is not unexpected. But what we found most interesting about it was that, for this group, social browsing had largely replaced all other forms of web browsing. Yes, these women would occasionally go out onto the broader web to perform discrete tasks: to check the weather, or to buy something online. But when it came to idle Internet time—the kind of behavior we’d typically associate with reading news, or blogs, or gossip sites, or just trolling around “killing time”—Facebook had almost entirely monopolized their attention. What’s most important about this behavior, from a brand marketing perspective at least, is that when many of these women needed to look something up—information on a venue, or a band, or a consumer brand—they were more likely to look first for information on the site where they were already spending all their time: Facebook. And once they found that information on Facebook, they weren’t afraid to express their approval through a “like” or a shared link on a wall post, sending their endorsement to friends who, through social browsing, were likely to find out immediately and check things out themselves. What does this kind of behavior mean for online marketers? Well, for starters, brands primarily interested in targeting a younger, female demographic should focus on building brand Facebook pages at least as comprehensive as their brand websites. This point is worth emphasizing, because for all of the thinking and headscratching that has gone on in recent years as to how to best utilize Facebook for marketing, a surprising number of companies have only the most rudimentary of brand pages on the site. When your customers are coming to your Facebook page as a first-choice source of information, you need to be prepared to meet them there. And once they’re there, you want to make it very easy for them to share their experience with their fellow social browsers—their peer group. While this behavior has only been observed thus far in young adult women, brands marketing to other demographics should keep an eye out for similar behavior among their target customers; these young users have typically set the trends on online social networks. The trend toward users seeking branded content on Facebook itself also means that marketers should continue to pressure Facebook for more flexibility in designing their branded pages. While some brands have largely succeeded in replicating website-caliber content on their Facebook pages, the perception remains that Facebook places too stringent limitations on what can and cannot happen on a Facebook page. Facebook first opened things up a few years ago, bringing flash capacity to pages, but the broad design rules (tabs at the top, banner ads down the right) remain fairly inflexibile. If Facebook is serious about becoming the social index for the entire web, it needs to do more not to just export social networking functionality but to make Facebook itself a more hospitable place for outside web page content to live. Ultimately, this type of “social browsing” behavior by younger users may be an even stronger validation of Zuckerberg’s Open Graph thesis than the plug-ins currently populating the web. Yes, for these many years of the Internet thus far, people sure have seemed to enjoy browsing web content. But what happens if it turns out they prefer browsing content about their friends even more? Mark Kirby is a senior consultant at ReD Associates, an innovation and strategy firm with offices in New York and Copenhagen.